“If you think you know what’s going on here, you’ve been poorly briefed”. Well it’s St. Patrick’s Day on Thursday, and so my mind has been on all things Irish lately. 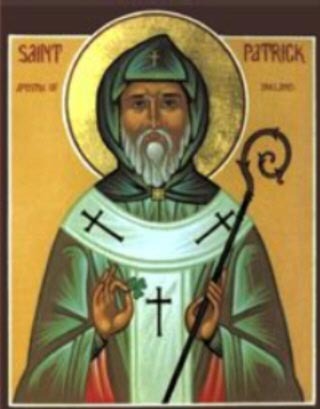 My family, ironically, doesn’t really celebrate St. Patrick’s Day in any meaningful way. As a kid, we were always taught that July 12th was our day to celebrate. “The Glorious 12th”. I remember my Dad telling my brother and me about King Billy’s glorious victory over Catholic King James at the Battle of the Boyne. He told the story with such passion and detail I could have sworn he witnessed it himself. 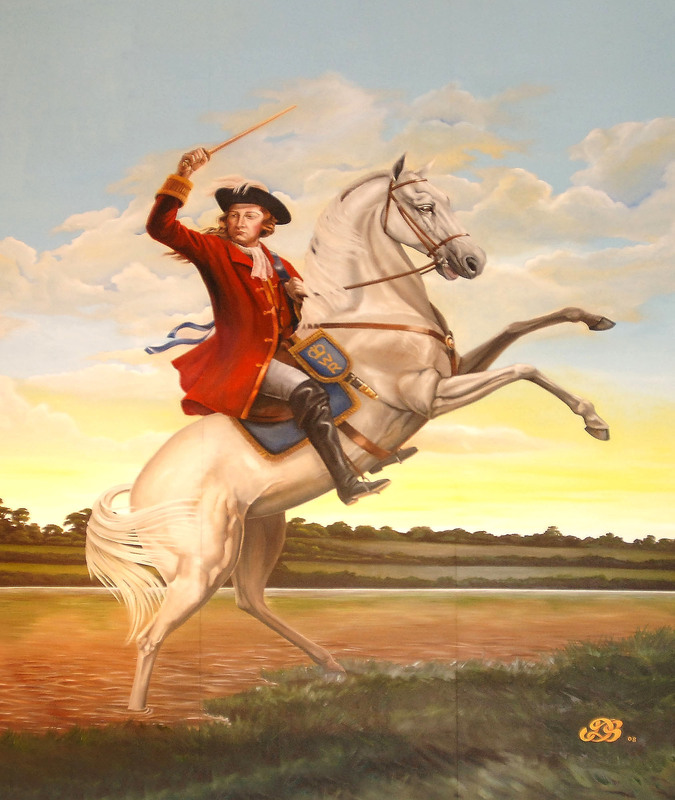 It wasn’t until I was a teenager and realized that the battle of the Boyne took place in 1690! My Dad can be forgiven, because when my brother and I visited Ireland for the first time together in 1996, we were amazed to find others talked of these ancient events as if they happened last week. One of my relatives was comparing Canada and Ireland and put it this way: “Canada is long on distance and short on history, Ireland is short on distance and long on history”. I remember as a kid hearing a report on the CBC that new research revealed that King William of Orange (i.e. King “Billy” to his friends) was actually bisexual. I couldn’t wait to drop this little tidbit of info on my Dad. I remember him shaking his head with the tiniest bit of a smirk and muttering something about “I.R.A. propaganda”. My Uncle’s take on the whole “King Billy is bisexual” was this: “Well, he did seem to spend a lot of time on that white horse”. Later on, I learned about “The Troubles”: such a typically understated Irish term for a thirty year period of terrorism and political upheaval that ended up claiming 3500 lives. My family was clearly on the British Protestant side (affectionately known as the Loyalists), but most members of my family were officially neutral on the topic. They were farmers after all, and although they had a vested interest in keeping the North part of the UK, they knew the value of peace. It was telling that many of my cousins were sent away to Scotland and England for university, to give them some perspective on the whole thing. Even though its said that “The Troubles” conventionally ended with the Good Friday Accord in 1998, there have sporadic bombings and other acts of violence since then, most notably the Omagh bombing in August 1998 which killed 29 people and injured 220 others. My brother and I were asked to leave a museum because of a “bomb threat” and a hotel where we had lunch was bombed the following week. Luckily on that one, enough warning was given, the hotel was evacuated and no one was killed. It did disrupt a wedding reception in progress, though. Even today, you are aware of which pubs, neighbourhoods, streets and even sections of streets are Loyalist and which are Republican. It’s usually pretty easy to tell the difference. Red, white and blue are loyalist, unless the white is paired with green and orange, then you’re republican, but if the orange is by itself, then you’re loyalist. The orange order usually wears orange sashes, but if you stay with them long enough they’ll give you a black sash. If you see a red and white flag with a red hand, you’re definitely in loyalist territory, but if the red and white are paired with a maple leaf, you’re most likely Canadian. Simple, right? Legend has it that over the doorway of the main briefing room for the newest arrivals from the British Army assigned to Northern Ireland hangs a sign. It reads “If you think you know what’s going on here, you’ve been poorly briefed”. Although you can’t get around Irish lore without some mention of Patrick, ( Pádraig in Irish), most of the stories I heard growing up involved King Billy. Looking back on it now, it seemed to be a way for my Dad to justify Protestant control of the North. As far back as the 1500’s, Queen Elizabeth had a strategy to plant protestants from Scotland in Ireland to “breed out” the rebellious indigenous Catholic population. My Dad’s family were part of this planned occupation at some point in history, and my wife loves to rub it in by saying “You’re not even Irish, you’re actually Scottish like me.” My Dad’s Mom and Dad emigrated out of Ireland in the 1920’s and settled in the West End of Winnipeg. My grandpa was a farmer and choir director of the local Presbyterian church in County Armagh. Only problem was that he hated farming. He was often found out in the fields reading a book when he should have been tending to the sheep or dealing with the silage, as the stories go. It’s no surprise that one of this grandsons ended up as a librarian, I suppose. He fell in love with a beautiful young soprano in the church choir and against family sentiment married her. She was not of the farming class, and my grandpa was seen as marrying “beneath” him. Although he was active in the orange order, I never got the impression that he his heart was really in it. He was involved because everyone else was involved. Secretly, I think he hated the pressures of doing something he hated (farming) and being judged for going against the prevailing wisdom in both his personal (marriage) and public (protestant conservatism) lives. Eventually, he decided to do what so many decided to do: emigrate to a better life. The better life, it turns out, was in Winnipeg. The plan was that he was going to sail over first to get settled and then send for my grandma. As the story goes, he kissed my grandma goodbye at their farmhouse and took the train into Belfast where he stayed for a couple of weeks before setting sail. The morning he was supposed to leave, he was met at the ship by my grandma, who told him that he wasn’t leaving without her, she wouldn’t stay behind. And so they bought a second ticket right there on the spot and left their house, farm and possessions behind. They sent a telegram to the Irish relatives from the ship explaining the situation and asking them to “look after things” until they could return to settle the property and accounts. That settling didn’t take place for another 30 years: the next and only time that my grandparents returned to Ireland. My grandparents settled in Winnipeg’s West End. My grandfather went from a landowning farmer and choir director to a night watchmen at Eaton’s and the church caretaker at Chalmers United Church. I understand that one of the perks of the Eaton’s job was that he could get a lot of reading done at night! My grandfather, a staunch Presbyterian and later member of the United Church of Canada was not a drinker, but every Christmas the bottle of Bushmills would come down from the high cupboard and a wee dram would be poured out. Once a year! My grandma never really adjusted to life in Canada. I fear there was some real resentment about her turn of events. She “married well” in Ireland, only to lose all that status to cold winters and cramped lodgings in Winnipeg. “I left Ireland for this?” I have just the vaguest memories of my grandma. Memories of her little veranda on Clifton St, of overstuffed easy chairs with doilies on the armrests, of Sunday night dinners that always began with tomato juice and a bathtub that had clawed feet! She died when I was seven, only returning to Ireland that one time in 1953. I never got a chance to meet my grandpa; he died 5 years before I was born. I’d like to think I would have had a lot in common with him. I think we would have bonded over books and music. I imagine him having a wry sense of humour and a trace of his once heavy Ulster accent. I bet he smelled of pipe tobacco. I think he’d smile at the many stories I’d have to tell him, and I think he would have been a good listener. I would loved to have sat next to him at Christmas, discuss the latest book he was reading, while sipping the smallest of sips of a shared bottle of Bushmills. It’s funny how these blogposts go. I started off thinking I’d be talking about St. Patrick and limericks, and I end up talking a little bit about my Dad and a lot about my Grandfather whom I never met. I think he would have enjoyed a limerick. Really liked playing with fire.